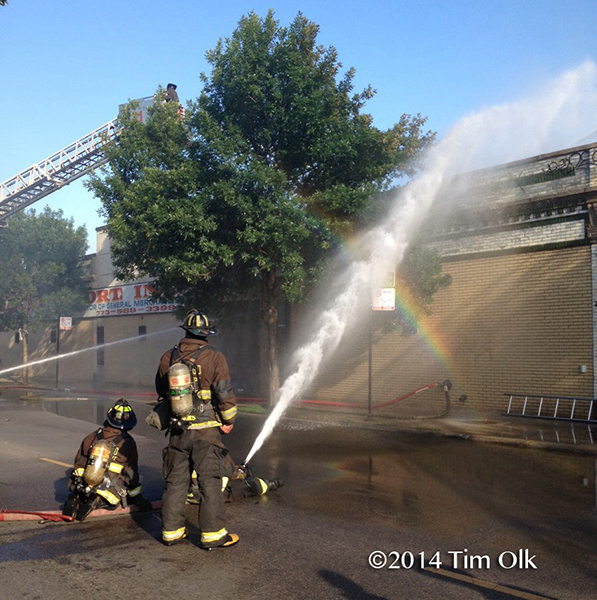 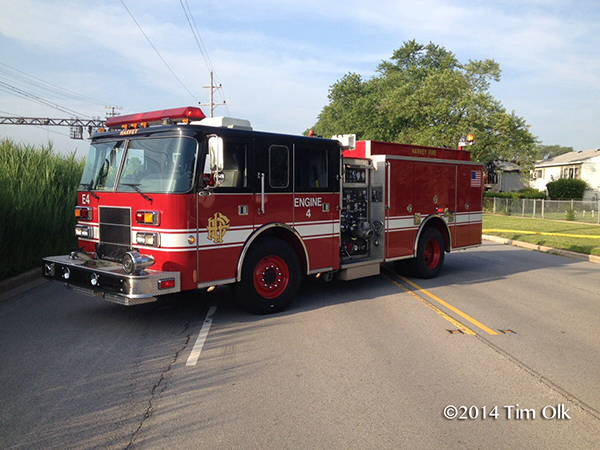 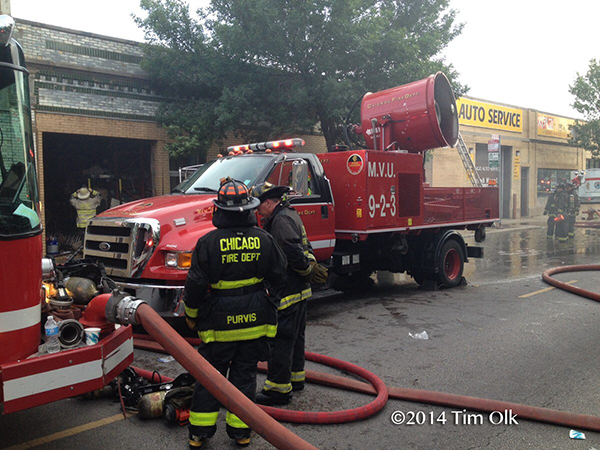 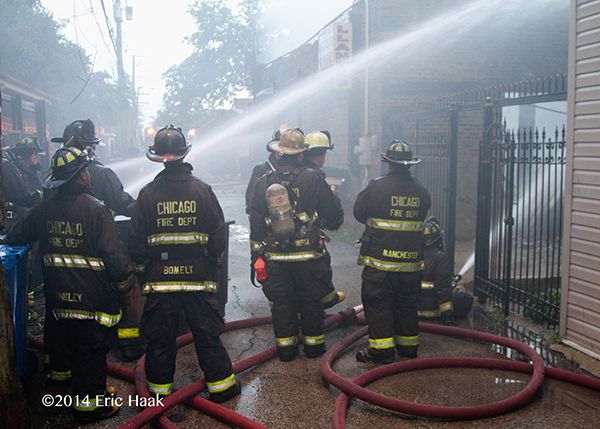 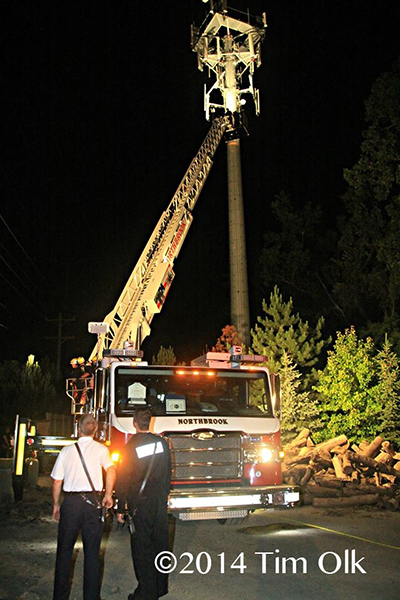 Here are some images from a 2-11 alarm fire early Sunday morning, July 29th. 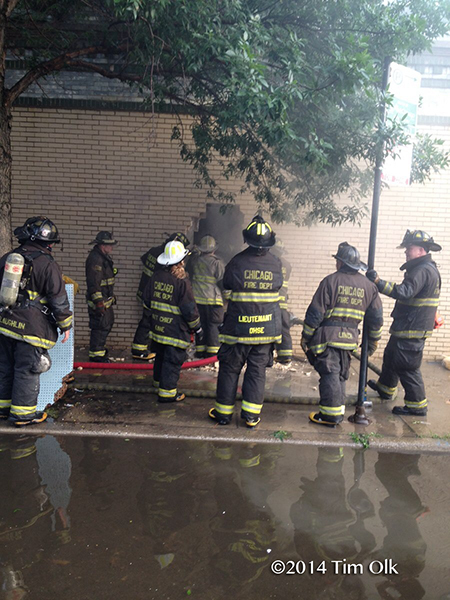 This fire was literally a half block south of Engine 109’s house on Kedzie. 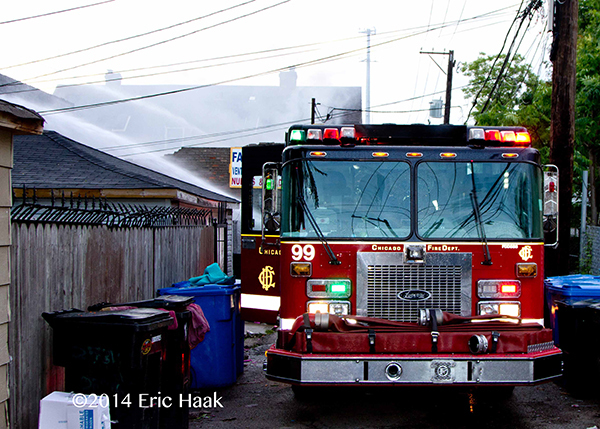 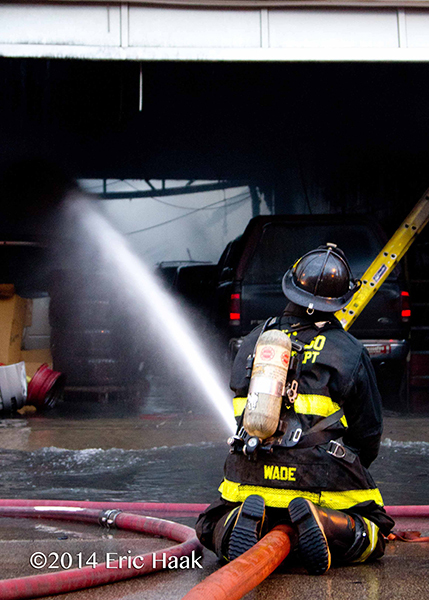 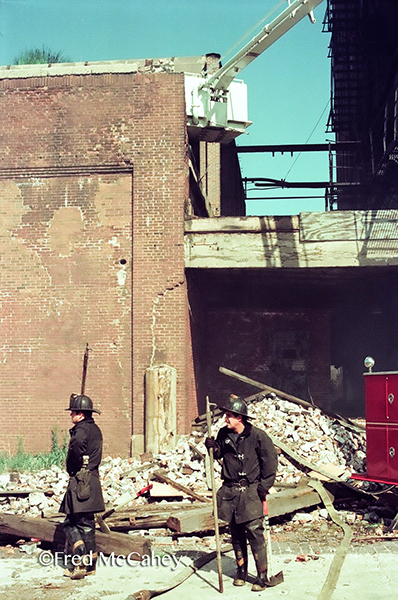 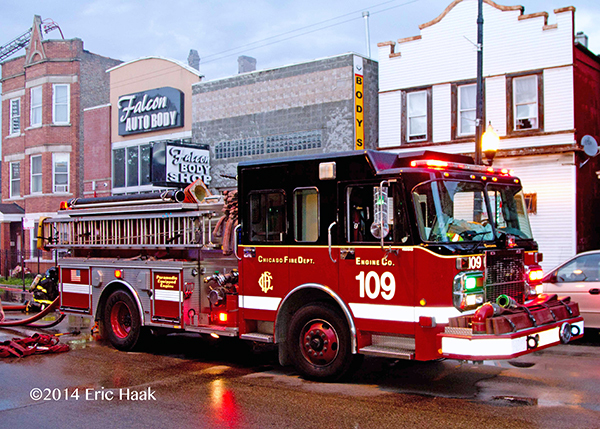 A few months back, Engine 109 had an extra-alarm fire directly across from their quarters. 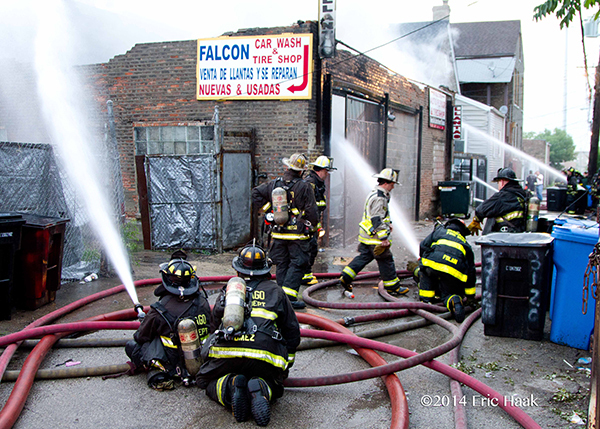 This morning’s fire was in an auto repair shop which was a newly constructed two-story in the front connected to an old truss roof one-story in the rear. 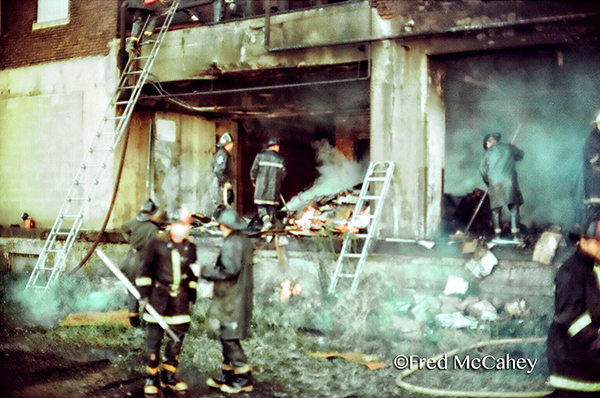 The total building size was about 40×100 but the fire was contained primarily to the rear section which was 40×25. 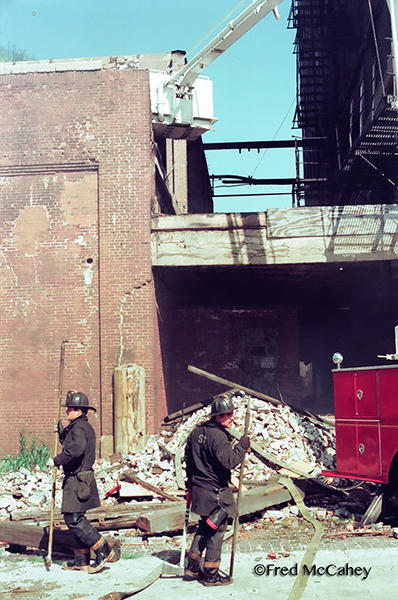 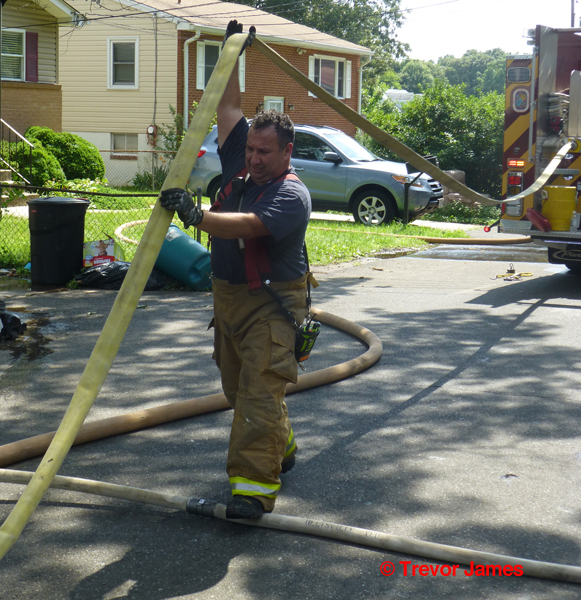 Five handlines were used in the alley along with one that was brought up Truck 32 to the roof of a neighboring building to the north. 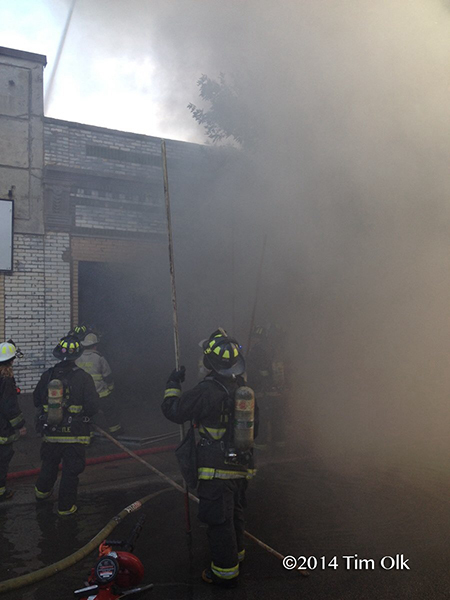 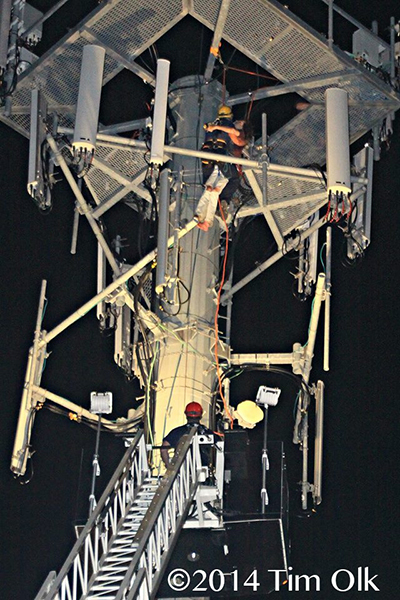 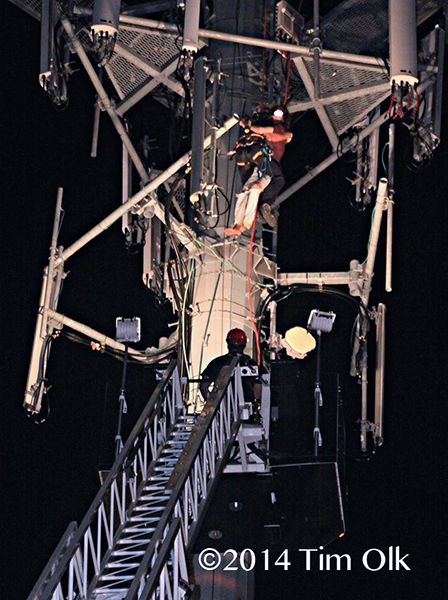 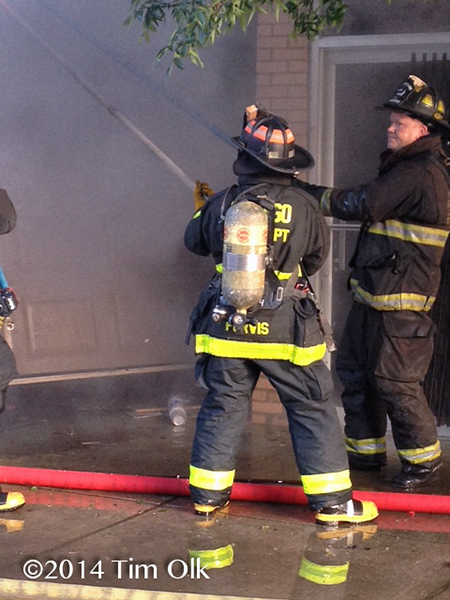 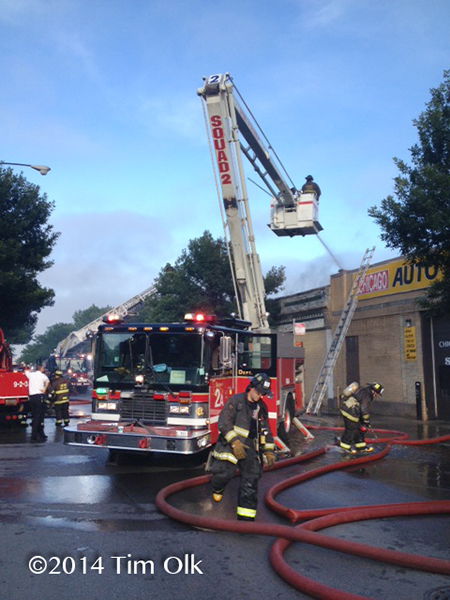 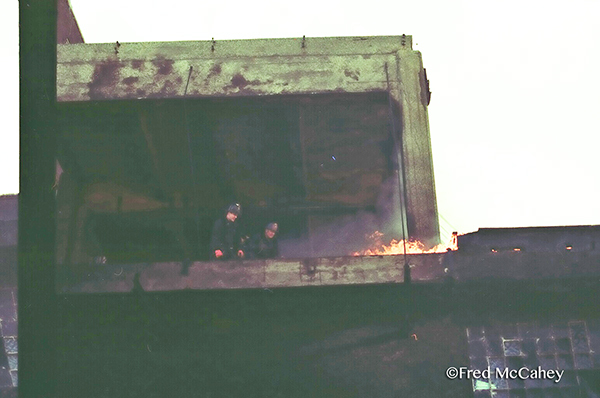 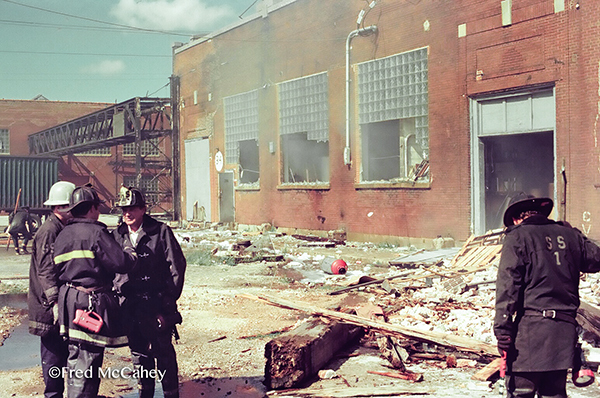 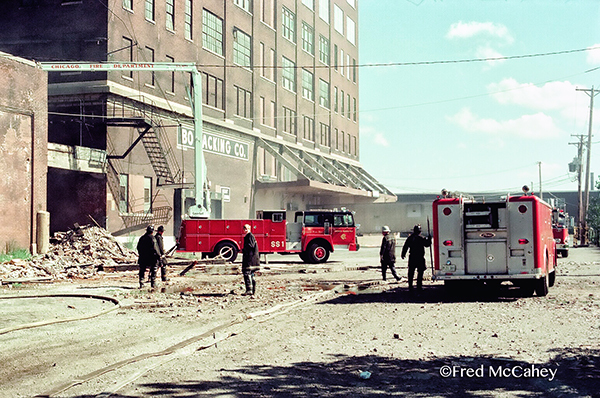 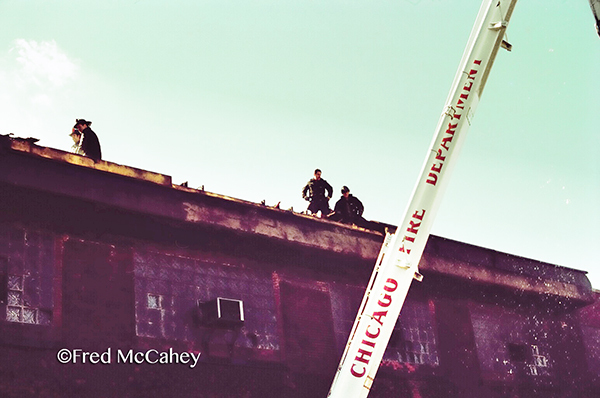 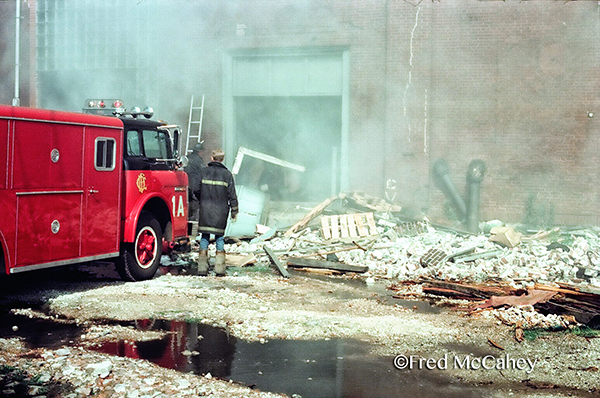 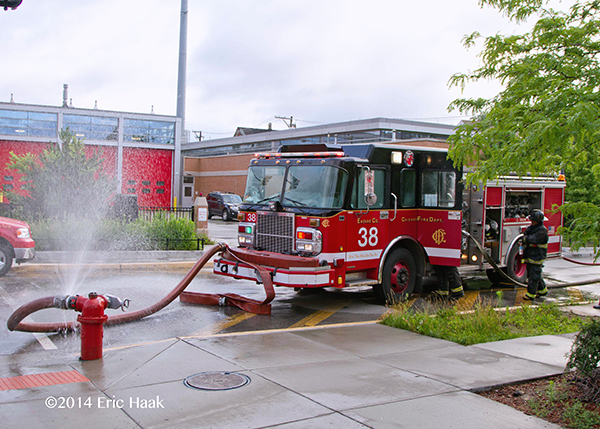 One multi-versal was used through the front overhead door and Tower Ladder 5 was put to work on Kedzie. 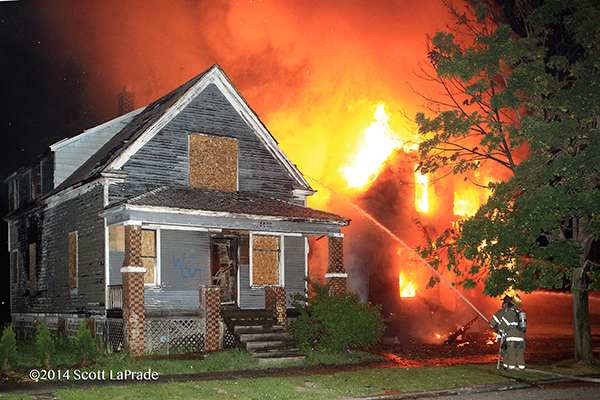 Images seen here were taken approximately 35 minutes in. 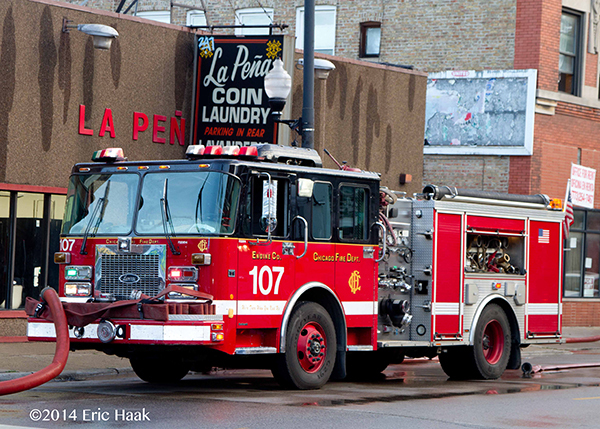 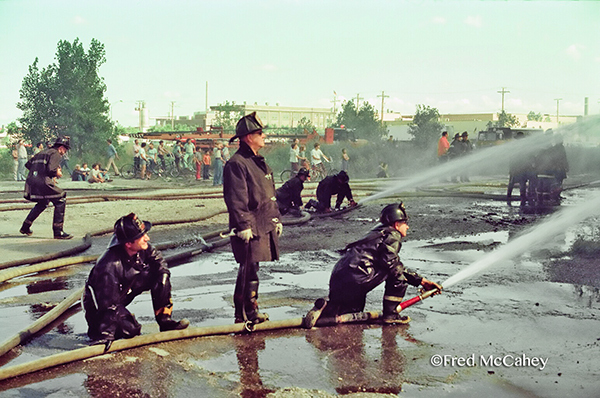 All four box engines were pumping with 99 in the alley, 109 in sector A, 107 to the south on Kedzie and 38 in front of 109’s quarters which was kind of odd to see. 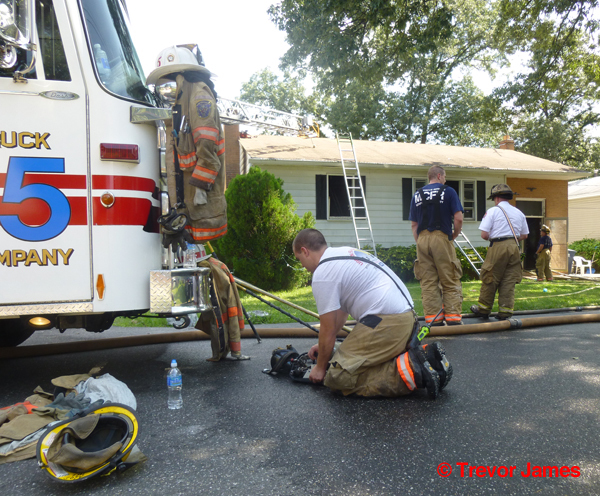 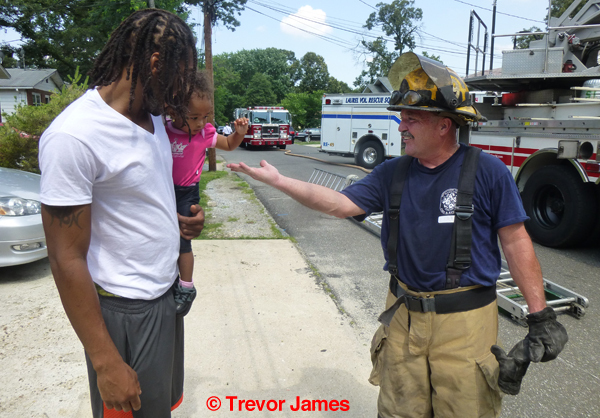 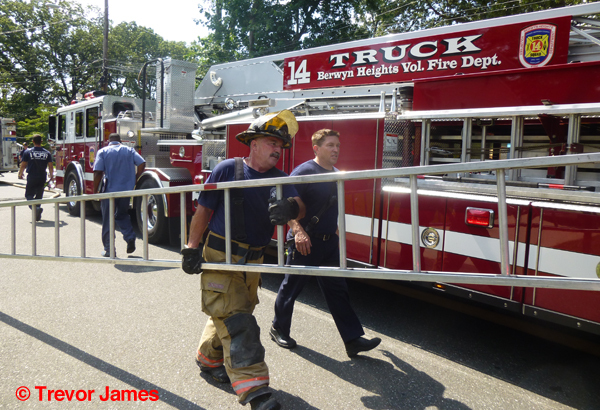 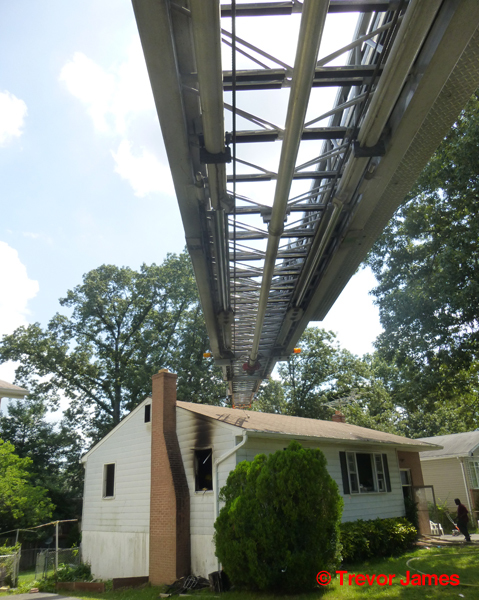 Prince Georges County Fire Department (PGFD) and Montgomery County Fire & Rescue (MCFRS) were alerted for the house fire on Broad Blvd. 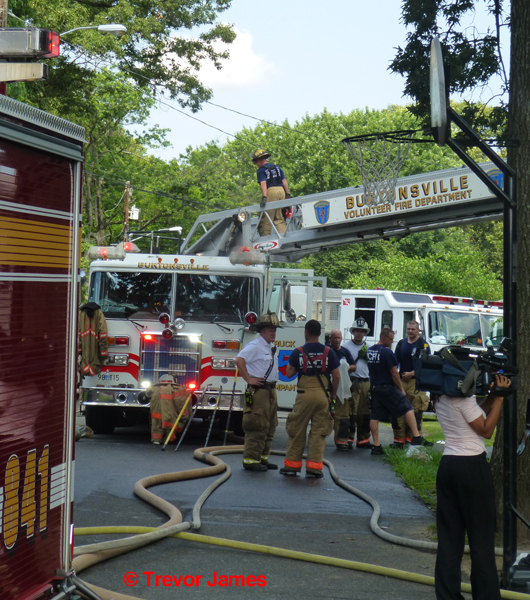 in Beltsville, MD on Friday morning. 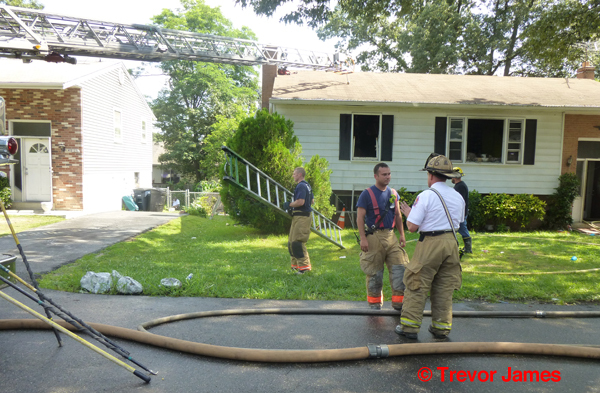 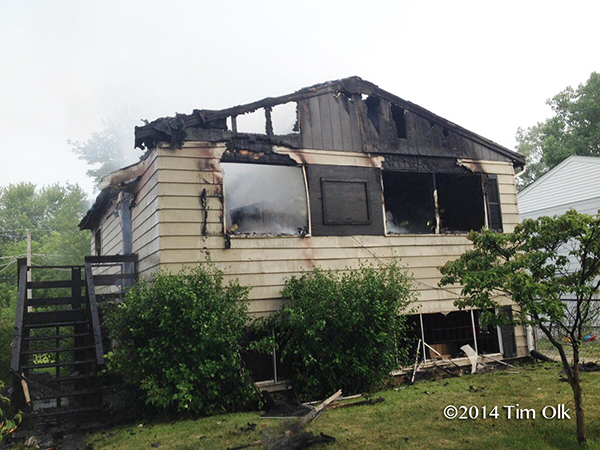 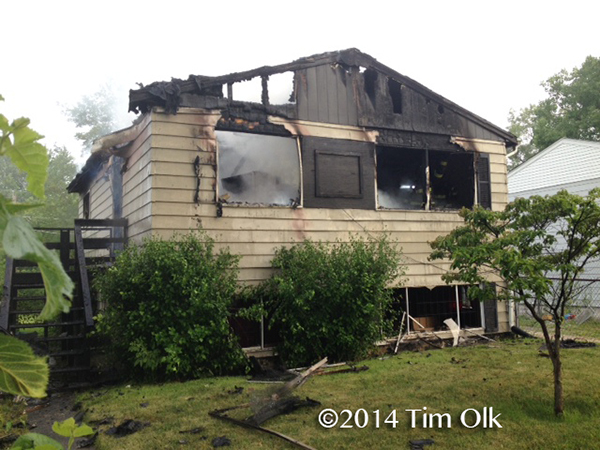 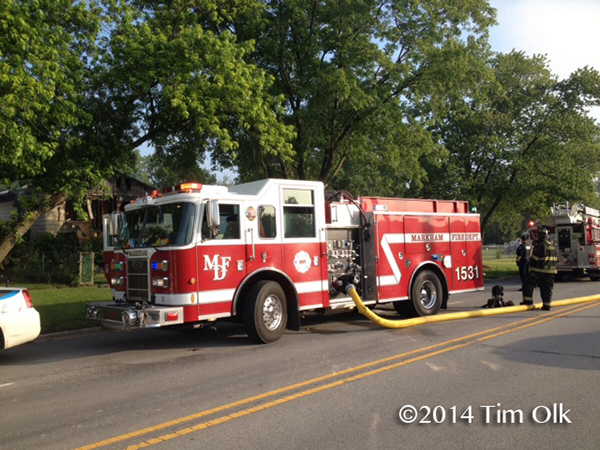 Firefighters arrived to find smoke and fire showing from a bedroom window(s) of a one-story SFH. 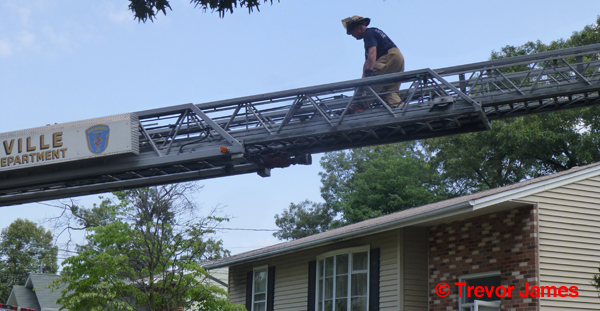 Occupants of the house escaped after being alerted by smoke alarms, and firefighters rescued two dogs that had become lethargic and disoriented inside the home due to the smoke. 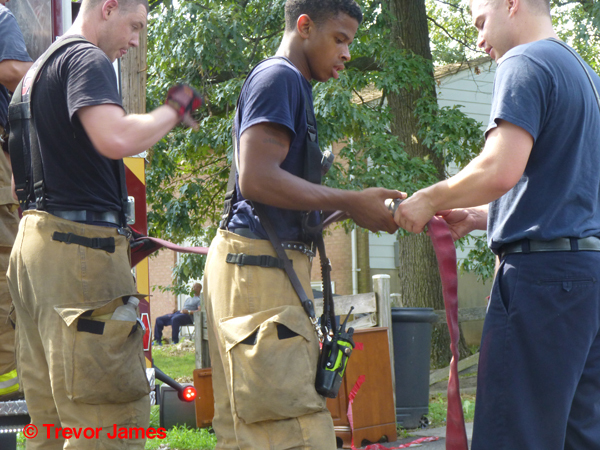 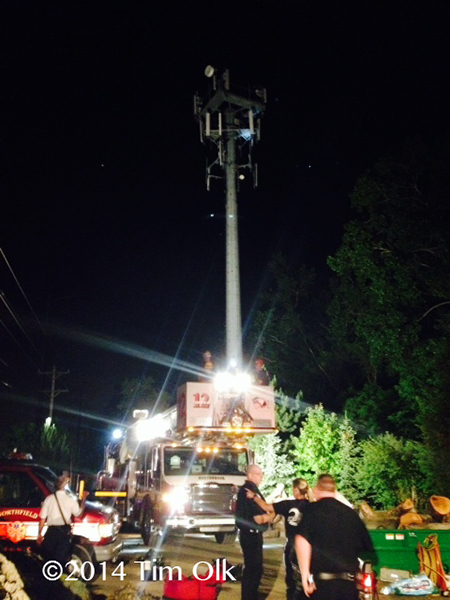 The dogs were given oxygen and recovered quickly from smoke inhalation. 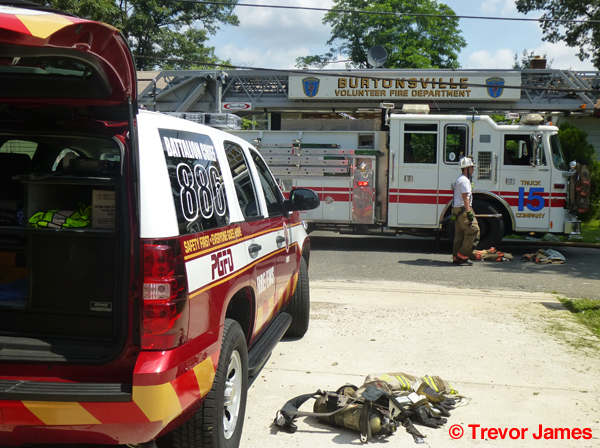 Companies from Burtonsville, Calverton, Berwyn Heights, and Laurel were on the scene and worked hard to knock this fire down quickly. 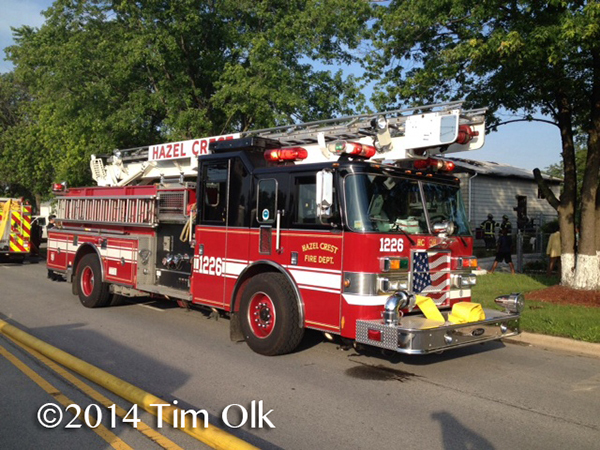 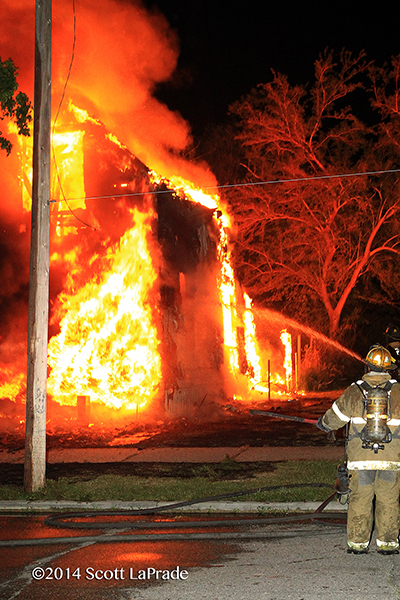 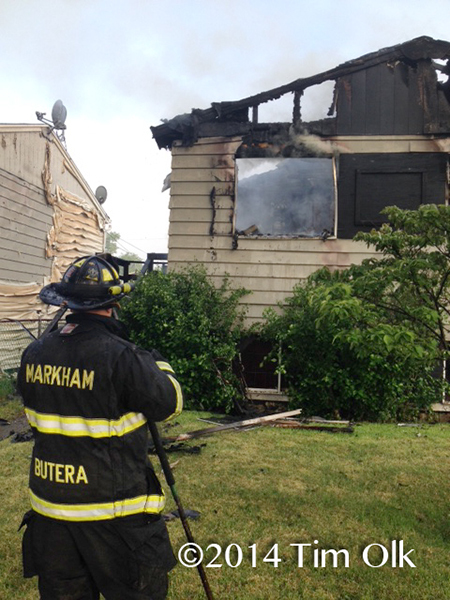 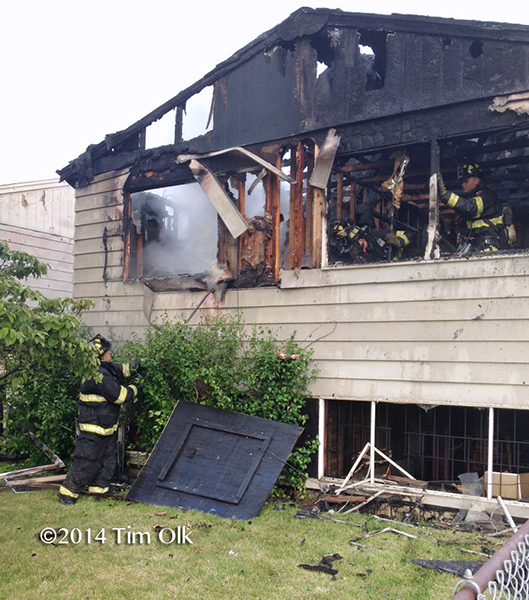 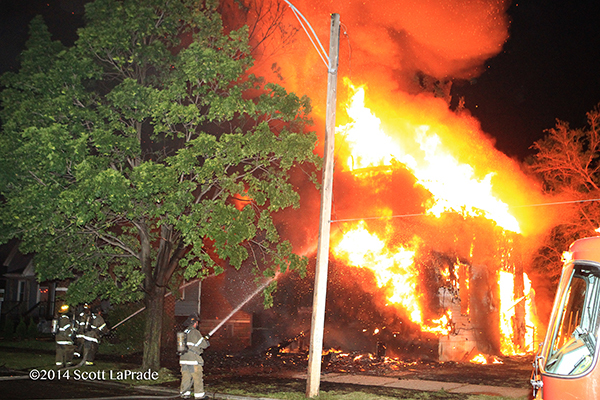 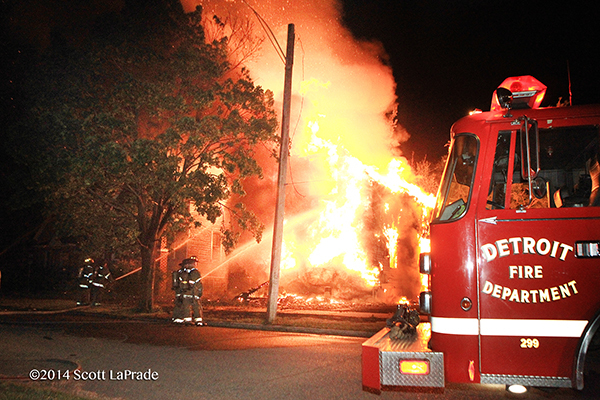 I was two miles away on June 27th when companies in Markham, IL pulled up at this house fire at 16322 S. Park Avenue. 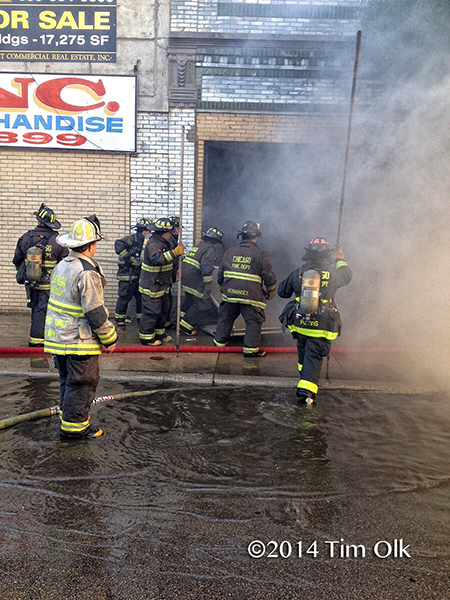 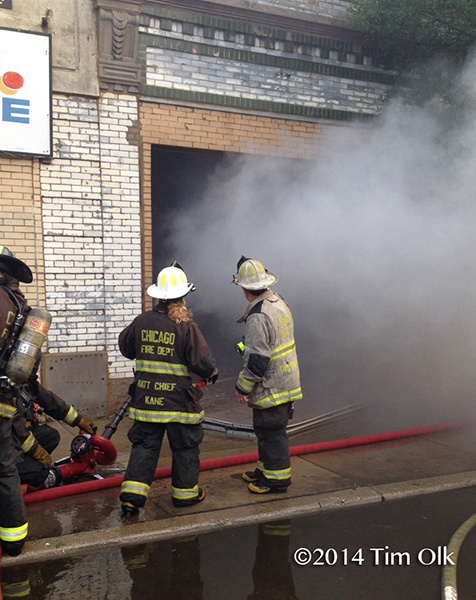 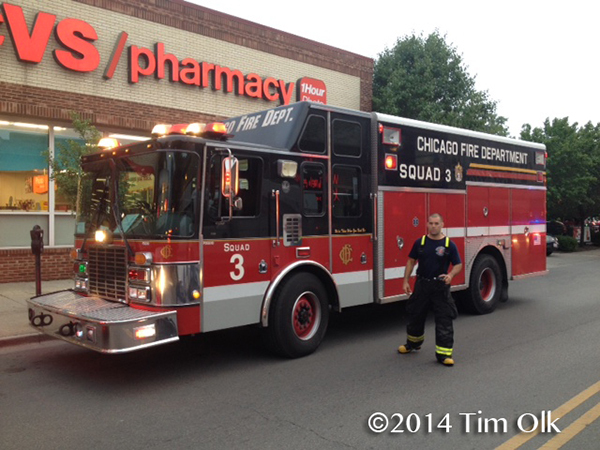 Fire in a warehouse stocked floor to ceiling with merchandise at 3325 W. Montrose in Chicago Thursday evening, June 26, 2014.